Predictive Analytics World ( http://pawcon.com ) is the business-focused event for predictive analytics professionals, managers and commercial practitioners, covering today’s commercial deployment of predictive analytics, across industries and across software vendors. PAW delivers the best case studies, expertise, keynotes, sessions, workshops, exposition, expert panel, live demos, networking coffee breaks, reception, birds-of-a-feather lunches, brand-name enterprise leaders, and industry heavyweights in the business. Case study presentations cover campaign targeting, churn modeling, next-best-offer, selecting marketing channels, global analytics deployment, email marketing, HR candidate search, and other innovative applications. The Conference agendas cover hot topics such as social data, text mining, search marketing, risk management, uplift (incremental lift) modeling, survey analysis, consumer privacy, sales force optimization and other innovative applications that benefit organizations in new and creative ways. PAW’s DC 2010 (Oct 19-20) program includes over 25 sessions across two tracks – an “All Audiences” and an “Expert/Practitioner” track — so you can witness how predictive analytics is applied at 1-800-FLOWERS, CIBC, Corporate Executive Board, Forrester, LifeLine, Macy’s, MetLife, Miles Kimball, Monster, Paychex, PayPal (eBay), SunTrust, Target, UPMC Health Plan, Xerox, YMCA, and Yahoo!, plus special examples from the U.S. government agencies DoD, DHS, and SSA. PAW London 2010 (Nov 15-16) will feature over 20 speakers from 10 countries with case studies from leading enterprises in e-commerce, finance, healthcare, retail, and telecom such as Canadian Automobile Association, Chessmetrics, e-Dialog, Hamburger Sparkasse, Jeevansathi.com (India’s 2nd-largest matrimony portal), Life Line Screening, Lloyds TSB, Naukri.com (India’s number 1 job portal), Overtoom, SABMiller, Univ. of Melbourne, and US Bank, plus special examples from Anheuser-Busch, Disney, HP, HSBC, Pfizer, U.S. SSA, WestWind Foundation and others. If you wish to receive periodic call-for-speakers notifications regarding Predictive Analytics World, email chair@predictiveanalyticsworld.com with the subject line “call-for-speakers notifications”. 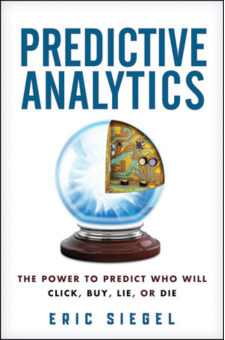 An interview with Eric Siegel, Ph.D.President of Prediction Impact, Inc. and founding chair of Predictive Analytics World. 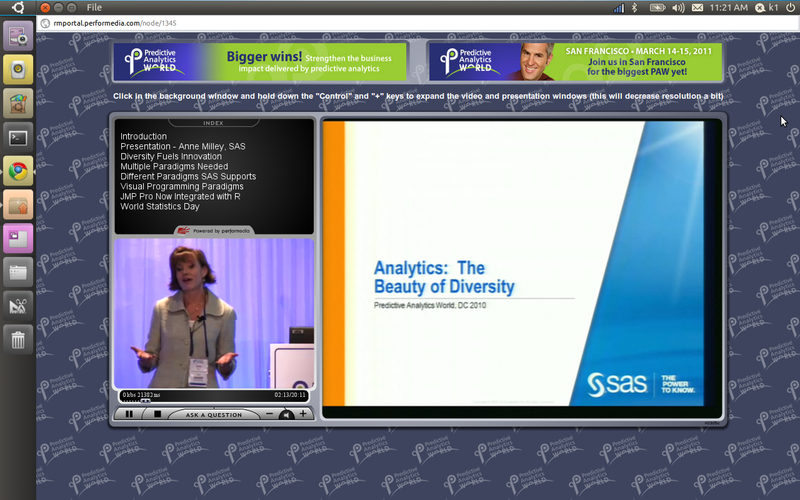 Ajay- What does this round of Predictive Analytics World have —–which was not there in the edition earlier in the year. Eric- Predictive Analytics World (pawcon.com) – Oct 20-21 in DC delivers a fresh set of 25 vendor-neutral presentations across verticals employing predictive analytics, such as banking, financial services, e-commerce, education, healthcare, high technology, insurance, non-profits, publishing, retail and telecommunications. A strong representation of leading enterprises have signed up to tell their stories — speakers will present how predictive analytics is applied at Aflac, AT&T Bell South, Amway, The Coca-Cola Company, Financial Times, Hewlett-Packard, IRS, National Center for Dropout Prevention, The National Rifle Association, The New York Times, Optus (Australian telecom), PREMIER Bankcard, Reed Elsevier, Sprint-Nextel, Sunrise Communications (Switzerland), Target, US Bank, U.S. Department of Defense, Zurich — plus special examples from Anheuser-Busch, Disney, HSBC, Pfizer, Social Security Administration, WestWind Foundation and others. Ajay- What do academics, corporations and data miners gain in this conference? list 4 bullet points for the specific gains. Eric- A. First, PAW’s experienced speakers provide the “how to” of predictive analytics. PAW is a unique conference in its focus on the commercial deployment of predictive analytics, rather than research and development. The core analytical technology is established and proven, valuable as-is without additional R&D — but that doesn’t mean it’s a “cakewalk” to employ it successfully to ensure value is attained. Challenges include data requirements and preparation, integration of predictive models and their scores into existing organizational systems and processes, tracking and evaluating performance, etc. There’s no better way to hone your skills and cultivate an informed plan for your organization’s efforts than hearing how other organizations did it. B. Second, PAW covers the latest state-of-the-art methods produced by research labs, and how they provide value in commercial deployment. This October, almost all sessions in Track 2 are at the Expert/Practitioner-level. Advanced topics include ensemble models, uplift modeling (incremental modeling), model scoring with cloud computing, predictive text analytics, social network analysis, and more. PAW’s pre- and post-conference workshops round out the learning opportunities. In addition to the hands-on workshop mentioned above, there is a course covering core methods, “The Best and the Worst of Predictive Analytics: Predictive Modeling Methods and Common Data Mining Mistakes” (www.predictiveanalyticsworld.com/dc/2009/predictive_modeling_methods.php) and a business-level seminar on decision automation and support, “Putting Predictive Analytics to Work” (www.predictiveanalyticsworld.com/dc/2009/predictive_analytics_work.php). C. Third, the leading predictive analytics software vendors and consulting firms are present at PAW as sponsors and exhibitors, available to provide demos and answer your questions. What do the predictive analytics solutions do, how do they compare, and which is best for your? PAW is the one-stop-shop for selecting the tool or solution most suited to address your needs. D. Fourth, PAW provides a unique, focused opportunity to network with colleagues and establish valuable contacts in the predictive analytics industry. Mingle, connect and hang out with professionals facing similar challenges (coffee breaks, meals, and at the reception). Ajay- How do you balance the interests of various competing softwares and companies who sponsor such event? Eric- As a vendor-neutral event, PAW’s core program of 25 sessions is booked exclusively with enterprise practitioners, thought leaders and adopters, with no predictive analytics software vendors speaking or co-presenting. These sessions provide substantive content with take-aways which provide value that’s independent of any particular software solution — no product pitches! Beyond these 25 sessions are three short sponsor sessions that are demarcated as such, and, despite being branded, generally prove to be quite substantive as well. In this way, PAW delivers a high quality, unbiased program. Supplementing this vendor-neutral program, the room right next door has an expo where attendees have all the access to software and solution vendors they could want (cf. in my answer to the prior question regarding software vendors, above). Eric- Well, first off, my work as a predictive analytics consultant, instructor and conference chair is in the application of established technology, rather than the research and development of new or improved methods. But the Ph.D. next to my name reveals my secret past as an “academic”. Pure research is something I really enjoyed and I kind of feel like I had a brain transplant in order to change to “real world work”. I’m glad I made the change, although I see good sides to both types of work (really, they’re like two entirely different lifestyles). In my research I focused on core predictive modeling methods. The ability for a computer to automatically learn from experience (data really is recorded experience, after all), is the best thing since sliced bread. Ever since I realized, as a kid, that space travel would in fact be a huge pain in the neck, nothing in science has ever seemed nearly as exciting. Predictive analytics is an endeavor in machine learning. A predictive model is the encoding of a set of rules or patterns or regularities at some level. The model is the thing output by automated, number-crunchin’ analysis and, therefore, is the thing “learned” from the “experience” (data). The “magic” here is the ability of these methods to find a model that performs not only over the historical data on your disk drive, but that will perform equally well for tomorrow’s new situations. That ability to generalize from the data at hand means the system has actually learned something. And indeed the ability to learn and apply what’s been learned turns out to provide plenty of business value, as I imagined back in the lab. The output of a predictive model is a predictive score for each individual customer or prospect. The score in turn directly informs the business decision to be taken with that individual customer (to contact or not to contact; with which offer to contact, etc.) – business intelligence just doesn’t get more actionable than that. For the impending student, I’d first point out the difference between applied science and research science. Research science is fun in that you have the luxury of abstraction and are usually fairly removed from the need to prove near-term industrial applicability. Applied science is fun for the opposite reason: The tangle of challenges, although less abstract and in that sense more mundane, are the only thing between you and getting the great ideas of the world to actually work, come to fruition, and have an irrefutable impact. Ajay- What are the top five conferences in analytics and data mining in your opinion in the world including PAW. Eric- KDD – The leading event for research and development of the core methods behind the commercial deployments covered at PAW (“Knowledge Discovery and Data Mining”). ICML – Another long-standing research conference on machine learning (core data mining). Ajay- Would PAW 2009 have video archives, videos as well or podcasts for people not able to attend on site. Ajay- How do you think social media marketing can help in these conferences. Eric- Like most events, PAW leverages social media to spread the word. But perhaps most pertinent is the other way around: predictive analytics can help social media by increasing relevancy, dynamically selecting the content to which each reader or viewer is most likely to respond. Ajay- Do you have any plans to take PAW more international? Any plans for a PAW journal for trainings and papers. Eric- We’re in discussions on these topics, but for now I can only say, stay tuned! The president of Prediction Impact, Inc., Eric Siegel is an expert in predictive analytics and data mining and a former computer science professor at Columbia University, where he won awards for teaching, including graduate-level courses in machine learning and intelligent systems – the academic terms for predictive analytics.He has published 13 papers in data mining research and computer science education, has served on 10 conference program committees, has chaired a AAAI Symposium held at MIT, and is the founding chair of Predictive Analytics World.